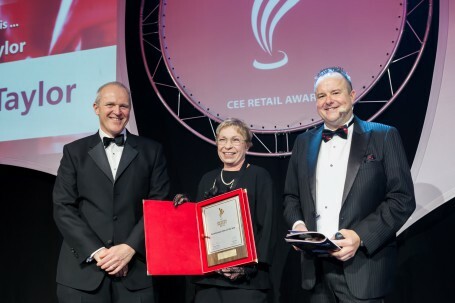 Prague, 25 February 2016 — Chapman Taylor have recently announced that it has been awarded ‘Architectural Firm of the Year 2015’ at the Central and Eastern Europe (CEE) Retail Real Estate Awards for a portfolio submission which included a number of projects from the Prague office. The award was accepted by Aleksandra Zentile-Miller, Director of Chapman Taylor’s Warsaw studio, at a ceremony held on the 28th of January at the Intercontinental Hotel in Warsaw, Poland. Selected by an international academy of jurors comprised of senior industry professionals, Chapman Taylor was recognised for professional services in creating and delivering successful retail and mixed-use schemes across the CEE region. Jon Hale and Jan Pokorny from Chapman Taylor’s Prague team will be attending this year’s MIPIM real estate conference, which will be held in Cannes, France from 15th to 18th March and attended by more than 21,000 international participants from 93 countries across the globe.